All his films have done so, they just strike at our conscience. What a nice way he has done this through this TV serial? Through the eyes of a small girl Avni? Questions emanating from her eyes are beautifully captured. The questions, this small girl asks, every question is big bang on the concept of norms of “morality” prevalent in our society. rather I should use the word- Indian society? Giving answers to her questions, the society exposes itself rather answering her question. The actors are normal actors but the treatment, direction, editing, dialogue, use of sound- use of SILENCE, use of eyes, all such things are justifiably fully utilized, as he is a master crafts man. Watching the TV serial-Naamkaran is just like going through a hypnotism therapy session? Does he knows the witchcraft?? I think he knows the language of screen/cinema very well. Why Avni is an illegitimate child? Why the child has to suffer, for which she is not responsible? Who will answer all her questions; in the Tv serial her grandmother Fatima Bano utilized her own craft to answer or rather divert energies of child. Because the grand mother has also suffered some kind of disaster in her past life and she knows the ground reality. Or I may be wrong? The story is a story of every common man in India (I suppose). The word नाजायज़ illegitimate is very well known to all Indians. Whatever language, traditions, religions, culture, sects, caste, faith they follow but the word remains intact, its meaning doesn’t change? नाजायज़ illegitimate. Words may vary but meaning is universal across boundaries. 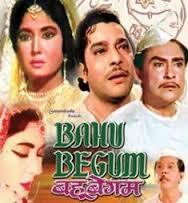 Fatima Bano the grandmother tells Avni that for people it has different meaning but you are not नाजायज़ illegitimate, whatever people may say, since you are child of LOVE. Your mother is the true person who has given you birth. And the tikku who has cared for you and your mother tirelessly selflessly without any greed is the true man for whom Avni is a real child. There is no place of this word for these two persons. Society needs introspection if they really want to know the meaning of नाजायज़ illegitimate. What they are doing on daily basis whether it is नाजायज़ illegitimate? Or not? What a small child wants? Avni wants a NORMAL family. She wants that her father and mother live together in a house. Father drops child at school and attends all her school functions as all other fathers do. She don’t know from which family she belongs to?. She don’t know or cares what Dayawanti Mehta, mother of her father wants? Often the male-the father has to take lead and break the silence. But what i have seen is that it is the women in such situations come up as STRONG persons. They bear the brunt. They bear the barbs of society. They rear their child. Father either moves away or die. Asish Mehta in this Tv serial is not courageous enough to bluntly tell his mother. Nor he can leave her mother and immediate family/society. Let’s see how Mahesh Bhatt has treated this story? where his hero-the man or the Child AVNI leads to? This Tv serial will also highlight the duty of parents. what society can do in such situations? 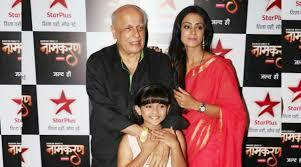 Mahesh Bhatt has made several films based on inspiration from his own life (as is said). But he is a master film maker. I did not know that he has also produced another TV serial Udaan??? That serials also i liked very much. Mother is the utmost truth of this universe. Father is not. Centuries ago Jabaala was the true mother who told the truth to her child. And that child became a rishi? Similarly in the movie SATYAKAAM story was shown about an illegitimate son. 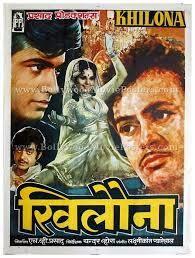 Born to the mother played by Sharmila Tagore and the father was played by Dharmendra. At one hand society indulges in such kind of acts and activities but on the other hand do not face the consequences of its own doing- i.e. a child born out of such acts of two individuals of society is called as illegitimate?? WHY? During post-Independence and rather before also the dancing girls were not accommodated in the society, as false notion of morality did not allow. But it was a custom or status symbol to or keep courtesans as patron. There are plenty of stories in our present day society. In movies also we have seen to save honour of family often courtesans were asked to help. In many ways they were used, either to keep mum, not to open their mouth? Not to let out the truth. Or give a child or a male child to be used as heir apparent. Or sometimes become a bride of house. 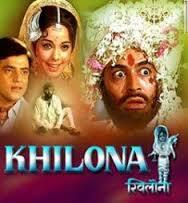 A song “Khilona jaan kar tumto mera dil tod jate ho” in film Khilona, where a girl was brought to help a mental patient played by Sanjeev kumar. The role was beautifully played by Mumtaz ji. 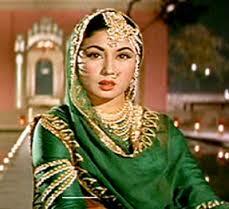 In one film a dancing girl was invited to become bride of the house, Great tragedy queen, Meena Kumari ji played the role. The palanquin was brought inside the haveli and bride entered the haveli to keep the honour of family intact. Ashok Kumar was the groom. This bride came(hired?) from a house of a courtesan? as where else women is available for payment? Little they or she know that it was her house, Haveli where she was supposed to be living? but due to some events she ran away and landed in a brothel? Pakeezah was the child of a respected honourable person of society? but her mother was a dancing girl. 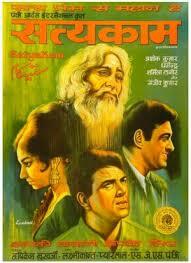 That person, played by Ashok Kumar was her father then how the child was Illegitimate? In film Umrao Jaan, the girl was abducted kidnapped was also from a respected family? But Bismil, the daughter of Khanum bi also had a father? without a father there can’t be any child? then how that child became illegitimate? 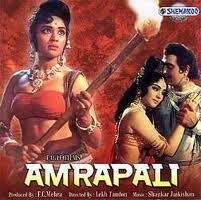 Amrapali was also a child born to some couple who belonged to society? But i dont know, how and why she was made a Nagar Wadhu? bride of the town? and she then was forced to entertain the nobility of the town? She became illegitimate? even having been utilized by every nobility? royal man? God knows how many kings ascended thrones and were illegitimate child of the kings or queens. History is to be researched for such cases. Few were called नाजायज़? . Centuries ago when jabala told her son that she do not know who his father is, the child told to sage Gautama same thing. Pleased at the truthfulness of the child and his mother jabala, he accepted child as his student. He is known as Satyakam jabala?? Satyakama graduates and becomes a celebrated sage, according to the Hindu tradition, and a Vedic school is named after him, as is the influential ancient text Jabala Upanishad – a treatise on Sannyasa (Hindu monk, monastic life). Upakosala Kamalayana was a student of Satyakama Jabala, whose story is also presented in the Chandogya Upanishad. After independence many courtesans adopted the families of their patrons and lived their whole life behind curtains. They never came out of the silence. Few families migrated and settled in other cities, where no one bothers about such things, till they entangle into the process of discussing marriage proposals? Since, in few families the kundali and family background is asked before marriages. When i see such things in Indian society, there are similar things in western society as well? There are hundreds thousands of cases in India where the such illegitimate child have become well known figures in Arts. Great Singers, Musicians, Dancers etc. They belonged to age old traditions? But all of them were fathered by Most respected fathers? Few were Judge, Lawyers, Officers, even few were Brahmins, Thakurs, Businessmen called themselves as Respected Men? 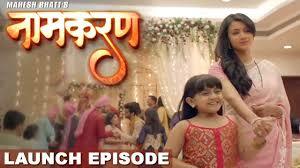 In this Tv serial, they cleverly named it Krishnadasi on Colors channel? instead of Devdasi? this serial also shows story of a child, that was called, blamed as Illegitimate child? why? because the girl was daughter of a Devdasi? But her father was respected MEN? But all i see is that a Mother is a mother, nothing else? She can’t be illegitimate? neither the child? Thus I pray for all Mothers, even they are symbols just like our BhooDevi, Mother earth? who bears everything? Mother is always great. She can’t be illegitimate?